2. Pour cooled butter into a large bowl. Add both sugars and whisk to combine. 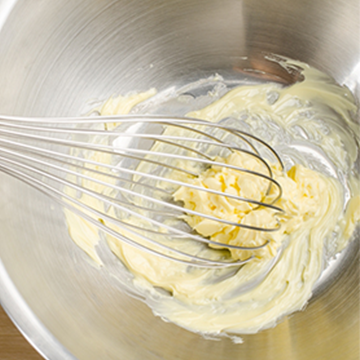 Whisk in egg and yolk, one at a time, and then whisk in vanilla. Set aside. 3. Mix dries: In a medium bowl, whisk together flour, cocoa powder, salt, and baking soda. 4. Add dries, one third at a time, to wets, mixing with a rubber spatula or wooden spoon to combine. Add food coloring. Mix until color is uniform. 5. Wrap bowl with plastic wrap and refrigerate for at least 20 minutes. 6. Preheat oven to 325°F, with racks in upper and lower thirds. Line two half-sheet baking pans with parchment paper. 7. Form dough into balls about the size of whole walnuts and place 2 inches apart on prepared baking sheets. 8. Bake for 10 to 12 minutes, or until edges are light brown and centers are still wetdont overbake. 9. 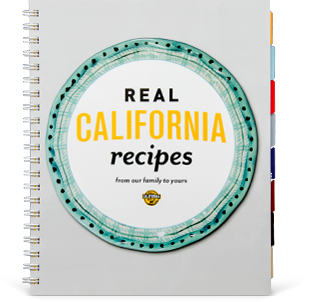 Immediately transfer cookies to a cooling rack. Let cool for 1 hour before icing. 10. Using a stand or hand mixer on medium-high, beat cream cheese and butter together until smooth and fluffy, 2 to 3 minutes. Add powdered sugar, starting on low speed, then working up to high speed. Add vanilla. 11. Using a pastry bag or a zip-top bag with one corner snipped, ice cooled cookies in the pattern of your liking and serve.